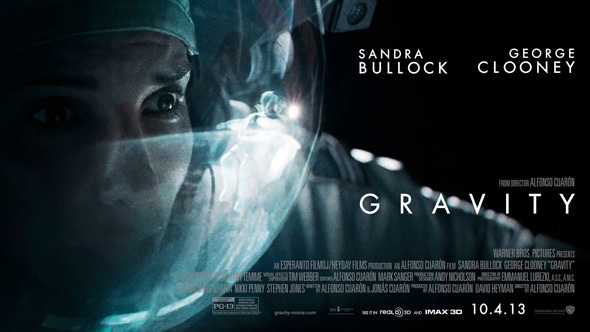 I finally watched the movie Gravity last night. Despite a number of flaws, I enjoyed it immensely. I think it sets a new standard for movies set in space (at least I hope it does). The visuals were stunning and the story had me on the edge of my seat. I now really regret not having made the time to see it in the theater. The characters moved around in zero G realistically. There were no sounds transmitted through space, at least aside from the muffled ones that characters would feel through vibrations of attached equipment. We watched mayhem and destruction silently (aside from mood music), and I think it heightened the sense of dread and surrealism in the story. From everything I’ve read about what being in space is like, this movie captures the feel of it far better than anything that’s come before. That said, from a scientific perspective, the movie still has a lot of flaws. I’m not going to attempt to catalog all of them. I think Phil Plait and Neal deGrasse Tyson did excellent jobs of that when it first came out. But I think I will mention a couple that, as a space nerd, I felt were needlessly egregious. The first, and most glaring, is the complete indifference to the realities of orbital mechanics. I get that the story was made a lot more interesting by having scenes in or near the Hubble telescope, the ISS, and the (fictional) Chinese space station. 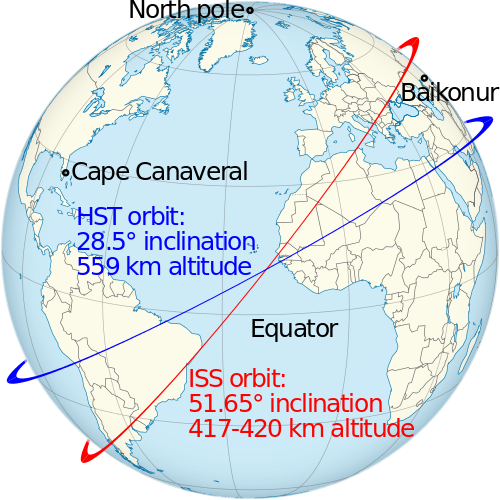 The problem is that the Hubble and the ISS are in very different orbits, at very different altitudes, and moving at very different velocities. The idea that someone in a space suit is going to maneuver between them is roughly equivalent to a skydiver falling out of a plane over Miami and maneuvering to land in a park in Los Angeles. It’s not only implausible, it’s not even coherent. The story could have been made more plausible by introducing a fictional scientific satellite intentionally near the ISS for some reason, and maybe positing a visiting Chinese spacecraft. Yes, these would be questionable themselves, but no more questionable than a medical doctor working on the Hubble, and it would have made it much easier for space nerds to keep their suspension of disbelief intact. The other (SPOILER ALERT) was the death of Clooney’s character because he had to be let go because his weight threatened to tear Bullock away from the ISS in a sort of mountain-climbing-cut-one-loose-to-save-the-other situation. The thing is, his forward motion had already been stopped. He was saved. Indeed, even unhooking the line as he did, he would have merely continued to float right there. There was no reason for him to die. Of course, the writers introduced this scene to heighten the drama. A far better solution, and just as dramatic, would have been for Clooney to have missed the station, but be floating slowly away as Bullock tried various things to save him, with him finally convincing her to give up as the distance gradually became too great. All that said, this was an incredible movie, and I do very much recommend it. I also recommend watching it on the biggest or most immersive screen you have available. This entry was posted in Science Fiction and tagged Chinese space station, Gravity, Hubble Space Telescope, International Space Station, ISS, Phil Plait, Sandra Bullock, Science fiction, Space. Bookmark the permalink. What do you mean there’s no sound in space?!? Of course there’s sound in space!